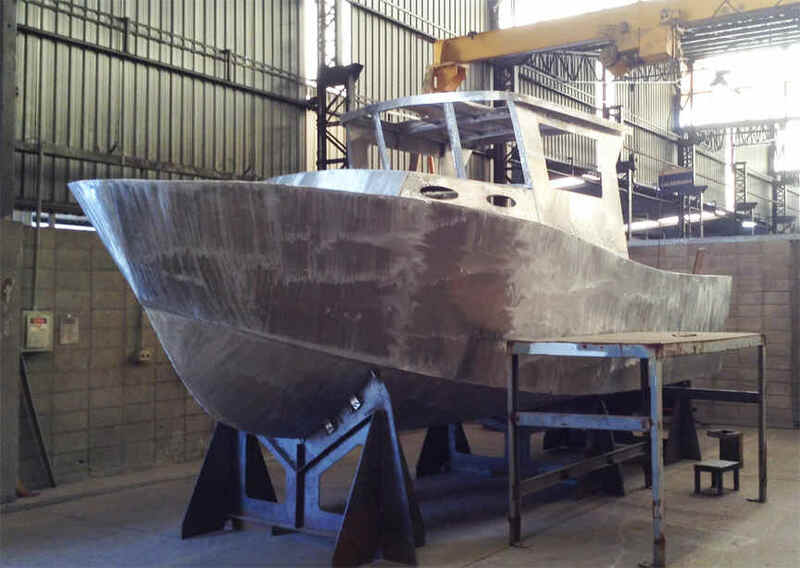 Marlin 28 is being built by OLIVER ILG in Brazil. Cutting files used to cut all the parts for this boat. NEW ! SUPER STUDY BOAT PLANS ... Delivered by DOWNLOAD to your computer. The study plans have lists of materials & equipment etc & these will be useful in costing out the complete boat. 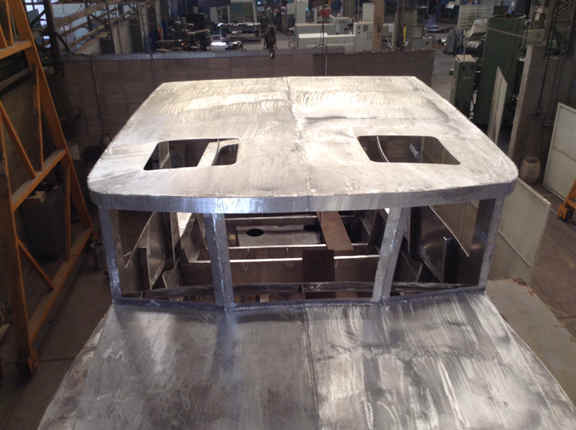 Each STUDY PLAN contains ALL the construction drawings for each material - STEEL, ALUMINUM, FIBERGLASS & WOOD EPOXY as applicable to the particular boat plan - with up to 25 sheets per plan! Lists of materials - Technical information - Numerous construction drawings are all included. SPECIAL INTRODUCTORY OFFER: COMPLETE BOAT PLANS & CUTTING FILES ... Delivered by DOWNLOAD to your computer within 12 hours of you placing your order. 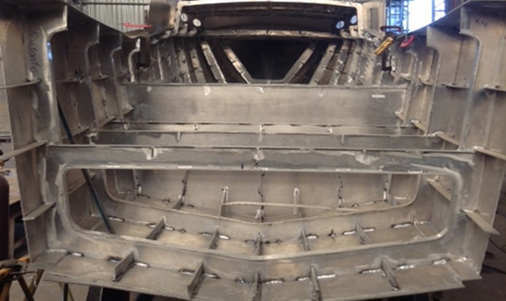 The plans have all the information you need to build your own boat.. Each plan contains all the construction drawings & CUTTING FILES for ALUMINUM construction plus bonus drawings covering electrical, plumbing and engineering, everything you need to build your boat. Plus you will receive a DETAIL FOLIO showing how to make many of your own boat fittings, lists of materials and equipment are all included plus all technical information, numerous construction drawings and written building instructions are all included. You can view & print the drawings in full or in sections. BUILDING PHOTOS are included in the plan package. PLUS you receive a FREE (value 79.95) e-book BUILD YOUR OWN POWERBOAT. TWO versions available including CENTER CONSOLE and FISHERMAN. Cutting files and plans for building in Aluminum. L.O.A. 8.53 m 28' 0"
L.W.L. 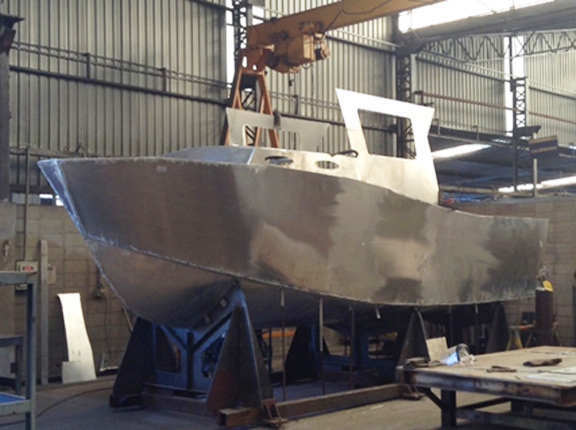 7.54 m 24 ' 9"
BEAM ( Aluminum KIT & CUTTING FILE version ) 2.59 m 8' 6"
Marlin 28 - alternate pilot house arrangement. CUTTING FILES & COMPLETE PLANS ETC. This new design features two versions as shown on left and is available for building in aluminum. This boat features full headroom throughout. The toilet and galley will both fulfill the functions as designed. TOP LEFT: Here we see the center console version which can be powered by inboard diesel or stern drive or single or twin outboards. this a very versatile aluminum boat. The cutting files and plans cover the building of this version. LEFT: The pilot house version of the Marlin 28 can also be fitted witth inboard diesel or stern drive or single or twin outboards. The cutting files and plans cover the building of this version.